It’s been a while since KTM started teasing the 790 Adventure model but after two years of build-up we can finally see the finished version of the new range of middleweight adventure bikes. The model range, like most KTM’s is split between the standard 790 Adventure model and the ‘R’ version which gets higher specification components and a higher price tag to match. 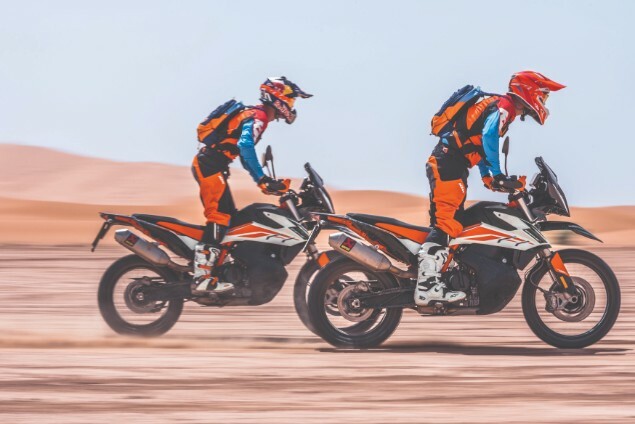 KTM says it has responded to customer feedback about these bikes and aimed them squarely at those who want a mid-capacity adventure bike that can tackle real off-road riding while still being a capable road bike. 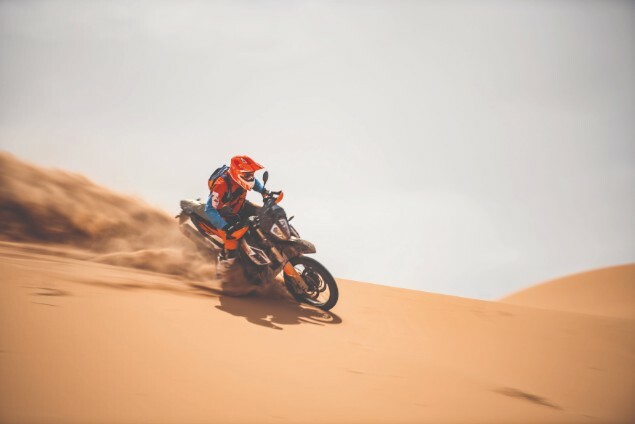 Just like other manufacturers, KTM has created an adventure bike that aims to offer a lighter, smaller and more accessible package for those who don’t necessarily want or need one of the many bigger adventure bikes available. 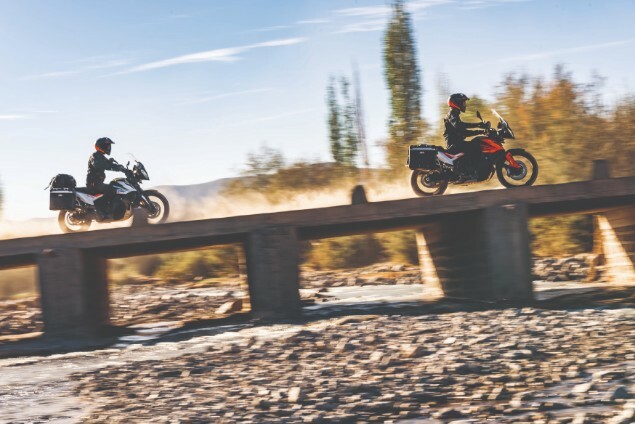 At the heart of both 790 Adventure models is the same 799cc parallel-twin engine that develops a healthy 95bhp and matches the power output of rivals BMW F850GS and Triumph Tiger 800. The engine is the same as that found in the KTM 790 Duke roadster and has been developed to deliver much of the 88Nm of available torque low down the rev range while also producing a decent amount of power when it’s relatively small overall capacity is taken into account. The engine is used as a stressed member – essentially it works to be an integral part of the chassis and offering structural strength – and this design has allowed for a lower centre of gravity and also a seat height that makes the bike more accessible for shorter riders. KTM is making the claim the engine is so frugal in terms of fuel consumption that the 790 Adventure has a claimed fuel range of 280miles from the 20 litres which makes it. 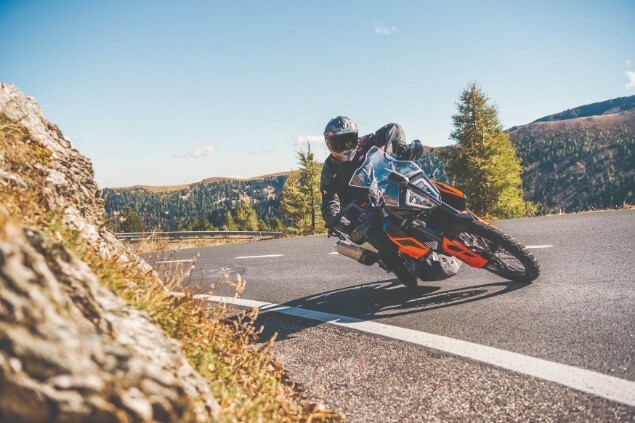 KTM has been one of the leading companies in the development of electronic rider aids and the 790 Adventure range continues that momentum with Street, Offroad, and Rain riding modes as standard and an optional Rally mode available too. All of the different riding modes work to adjust the throttle, traction control, ABS and even the peak power available to suit the rider and conditions. A state-of-the-art 5in Thin Film Transistor (TFT) screen is also available as standard and the display can be customised by the rider to display the information they wish to see. The KTM MY RIDE app allows this screen work with a smartphone via a Bluetooth link to take phonecalls, listen to music and also use the app as a navigation assistant. Both of the 790 Adventure models have off-road riding ability at the core of their offering with 21in front wheels and 18in rear wheels. The 790 Adventure R does have a slightly different set-up in terms of the suspension with 48mm upsidedown forks in place of the 43mm forks on the standard bike. At the back the R has an upgraded WP shock which along with the front forks, gives the R variant 240mm of suspension travel compared to 200mm for the standard bike. There are some small chassis set-up variations between the two bikes as well with wheelbase, steering head angle and the angle of rake all slightly different too. The R comes with standard Metzeler Karoo 3 tyres which are aimed at being 80% off road while still being road legal too. The KTM 790 Adventure model range is the big news for 2019 but there are a fair number of other updates across other KTM models too. The KTM 1290 Super Adventure S and R models get new graphics and colours. 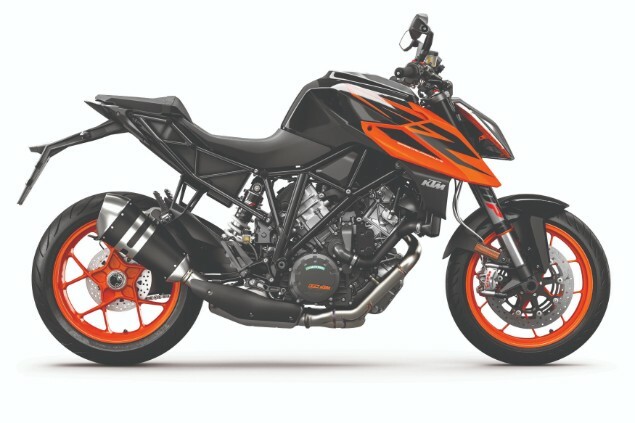 The KTM 690 SMC R supermoto street bike returns for 2019 and shares an engine with the 790 Adventure and is also joined by a new version of the 690 Enduro R which is the off-road capable version of the SMC R.
The KTM SX-E 5 is an electric youth off-road bike based around the petrol-powered KTM 50SX motocross bike and is aimed at both beginner riders and youth racers with KTM claiming the battery pack will last for two hours for a beginner or 25 minutes at race pace.